The theme focuses on the representation and construction of space through the language of the animated image (film, video). The outcomes of the previous theme IMAGE are used as starting point to carry out an analysis of urban space using the techniques of the audiovisual languages (narratives, story boards, montage). The theme IMAGE is dedicated to the study of the photographic image from an interdisciplinary perspective that interrelates photography with art, advertising, and new media in accordance with the philosophy of the Visual Studies. The goal is to understand the world as mediated by the image, using photography as a tool to reflect and communicate ideas about architecture and the contemporary city. In the theme OBJECT we explore the relationship between form and space through three formal languages: line, plane and solid. In addition, the relationship between form, material and technique is examined during the process of generating three-dimensional objects. The study of the modern avant-garde artists, and of their followers, helps to understand the notion of formal language. The works are carried out using digital media (modeling, rendering, animation) and physical models. This theme is concerned with abstraction in painting, colour and composition, Gestalt laws, and the synesthetic relationships between musical form and visual composition. 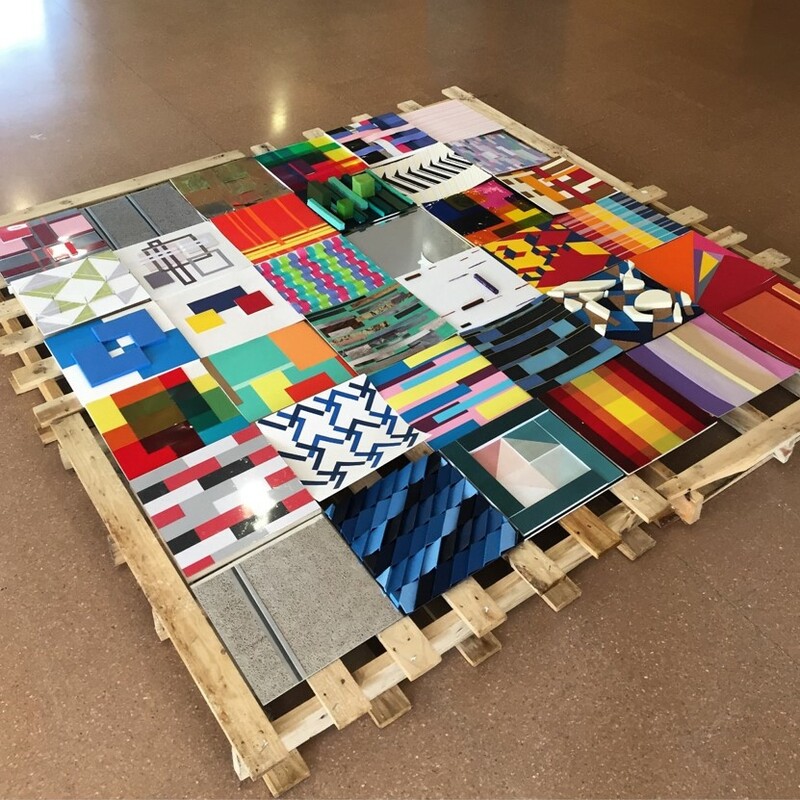 The learning activities are dedicated to analysing the structure of a work of concrete painting and to representing it through a computer animation; to translate a musical composition into a visual one and to create a series of variations on a theme. 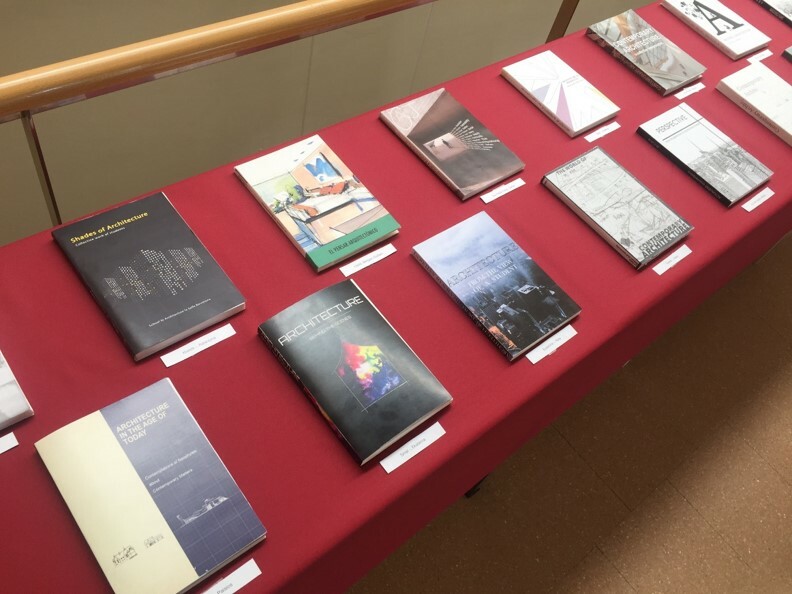 The theme is dedicated to the study and contrast of the principles of modern architecture as expressed in the manifestoes of the early twentieth century avant-gardes with the ideas that are being debated in contemporary architecture. In line with this opposition, other issues related to graphic design, typography, visual poetry, communication and digital media are addressed. 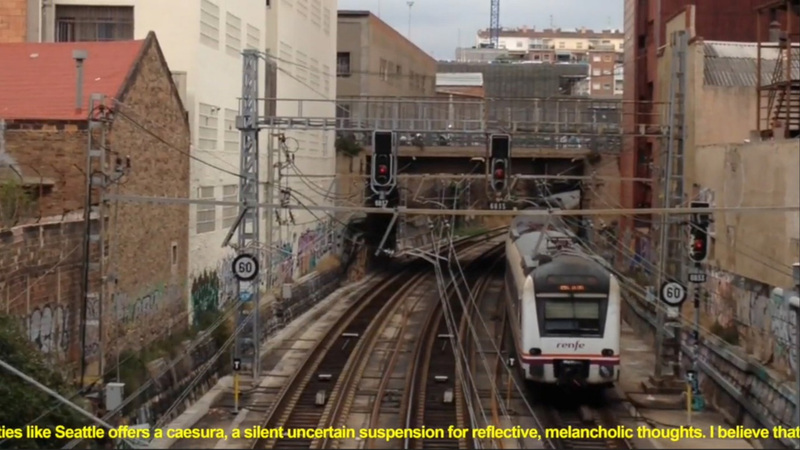 During the course SDR 2016-17, the themes Image and Space have been dedicated to analyse through photography and video three neighbourhoods of Barcelona, Plus Ultra, Vallcarcaand TrinitatNova. These urban areas have been chosen within the framework of the Prohabitproject to verify the impact that the urban transformations have had on their inhabitants. In addition, the UMVA project has been developed for 5 years in the space theme, a collaborative project developed by the School of Architecture La Salle and the Loop Festival with the aim of using video as a tool to document how people use space. 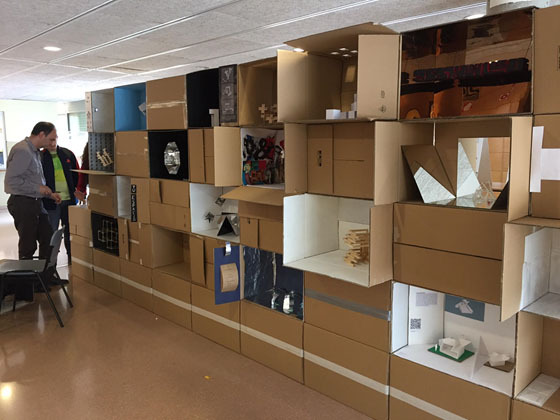 The artists Mireia Sallarès, Claudio Zulianand Miquel Garcia have guided the students in carrying out their work. The theme OBJECT is about exploring the relationship between form and threedimensional space through three formal languages: line, plane and solid . In addition, the relationship between form, material and technique is analysed in the process of generating three-dimensional objects. The study of modern art enables to understand the different formal languages: the objects of the Russian Constructivists and of De Stijlgroup, as well as artists who have continued with the avant-garde art. At the same time, the morphology of nature’s creation is studied: the structure of minerals, the plant growth and the relationship between the form of the living beings and the form of their motion in space. The works are carried out using digital media (modeling, rendering, animation) and physical models. 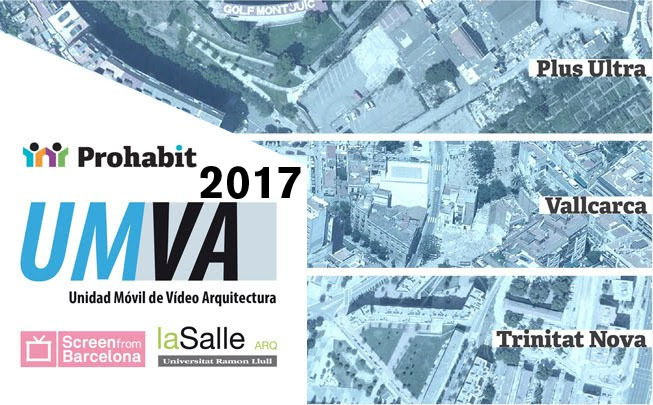 Desde el año 2102, la asignatura “SDR Sistemas de Representación” de la Escuela de Arquitectura La Salle y el LOOP Festival llevan a cabo el programa UMVA-Unidad Móvil de Video Arquitectura. El objetivo de este programa es promover la aplicación del video – como herramienta de análisis y medio de comunicación – en el estudio del espacio habitado. Este estudio abarca: 1. observar la interacción entre las personas y los espacios que habitan, 2. averiguar los significados y valores que los habitantes otorgan a los lugares y 3. transmitir los resultados del estudio a través de vídeos. Los estudiantes de arquitectura realizan los vídeos con la tutela de los profesores de arquitectura y artistas seleccionados por el LOOP Festival. En esta sexta edición de la UMVA, los barrios que se van a estudiar son Trinitat Nova, Plus Ultra y Vallcarca. En esta ocasión los creadores propuestos por el LOOP Festival para ejercer de tutores son Miquel García, Mireia Sallarès y Claudio Zulian. The theme FIGURE is about the fundaments of color theory. 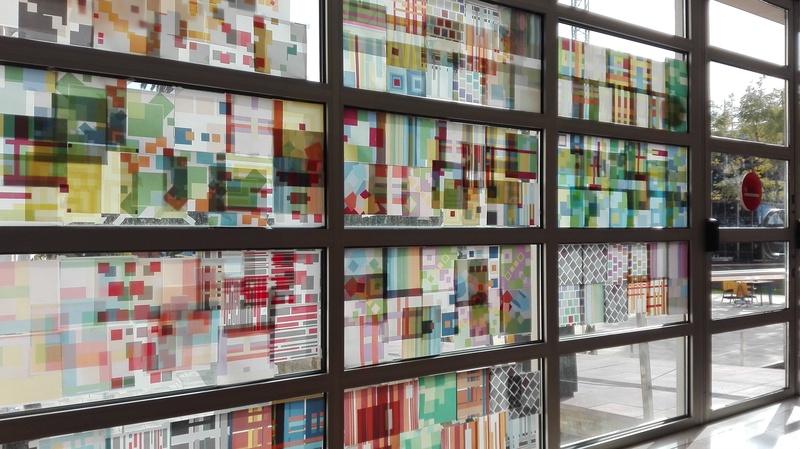 Interaction of shape and color in two-dimensional compositions. Abstract and concrete painting. The form of musical and painterly compositions (synesthesia). Perception of form as structure or Gestalt. Composition systems. 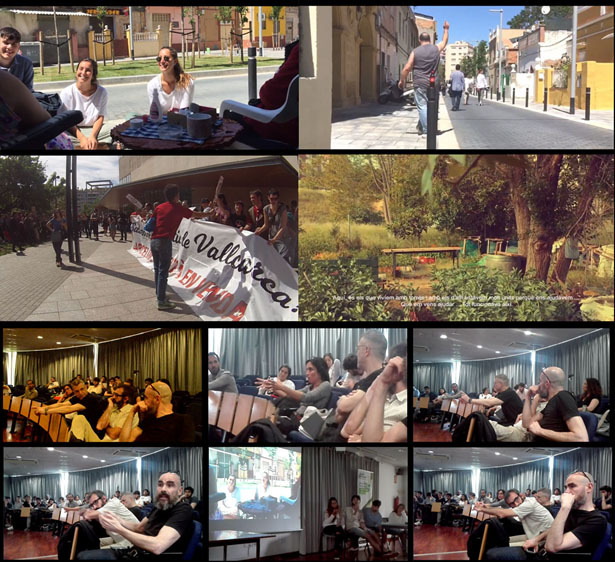 This site collects the work of pedagogical innovation carried out in the course of Sistemas de Representación- SDR (in English, Systems of Representation), course that is given in the second and third year of the study program of the School of Architecture La Salle, since 1999- 2000. On the homepage, the theme that we are currently working on, appears selected and a selection of the most outstanding student work can be found, as well.